Fortunately this one had a happy ending for these 2 little kittens who were part of a litter found by friends, just days old, abandoned in a rubbish bin. 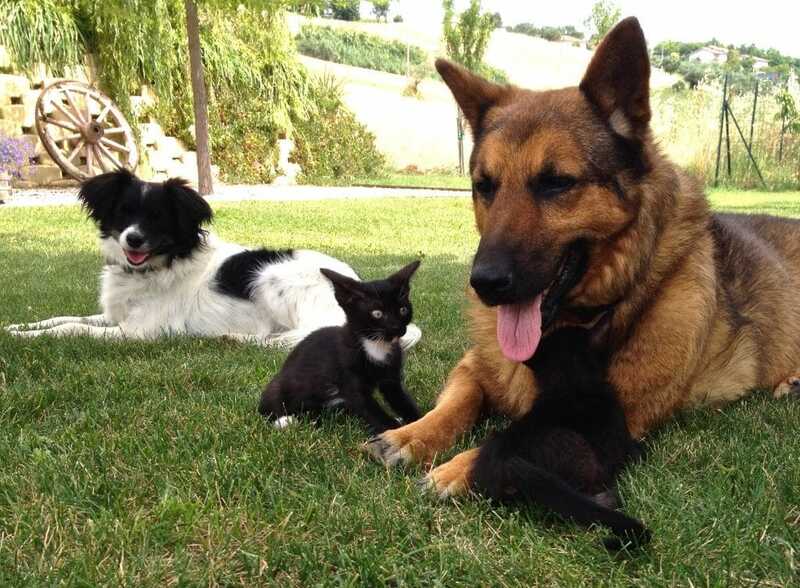 Loving vet Angelita found them a wet nurse foster mother and now two healthy and mischievous young cats are the latest recruits to Casal dei Fichi. Named Iago and Desdimona (with the white bits) after Shakespeare’s Othello, the kittens were seized on (literally) by all of the children (and many adults) who visited us last year and consequently have matured into highly social cats who love to be picked up and cuddled. We love our name, Casal dei Fichi – Casal(e) being a farmhouse and Fichi figs which describes us pretty well, but we do understand that it’s not that easy to remember or spell. So now, just tell all your friends to go to www.bobandian.com which will take them straight to our homepage – even we can remember that! Since 2015 marks the 10th anniversary of our move to Italy we have decided to get to know the place a bit. 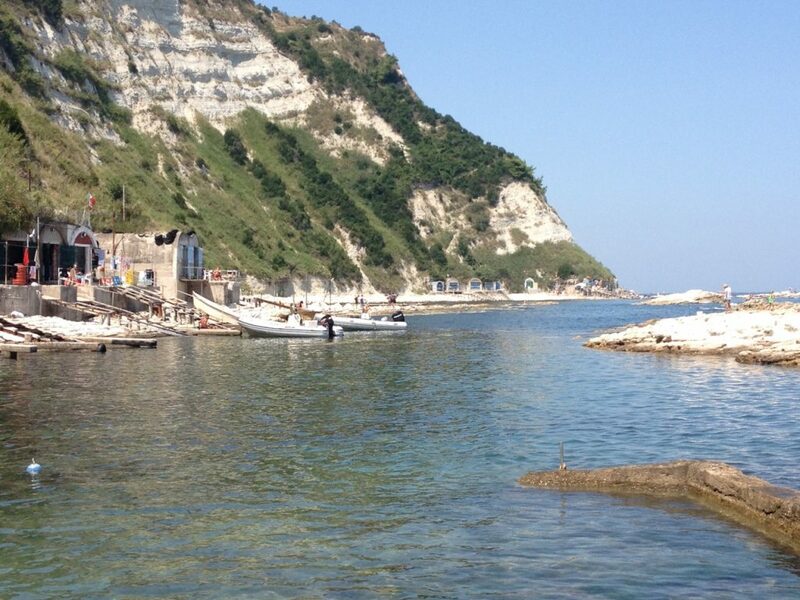 We have already raved about the amazing fishermen’s caves which have been “gentrified” and form characterful beach huts and family kitchens near Ancona. This year we have been exploring further down the rugged and inaccessible coastline. We followed a hunch and then a path which led to a makeshift flight of steps. Clearly cobbled together by the locals from whatever leftovers they had in the garage we followed this, mainly, stable route about 200m down to the sea to a secret land where just a handful of aficionados maintain their boats, swim in the crystal clear rock pools and get away from it all. Last season we were delighted to welcome record numbers of Scandinavian visitors. For some reason we have also had a surge in bookings from Canada. We’re delighted that the reputation of Marche is spreading around the world and it’s been a real pleasure welcoming new guests to an lesser known part of Italy. Even more satisfying is that so many of our guests keep coming back to re-visit their favourite finds and discover new ones. Some weeks in 2015 are starting to fill up so if you have a week in mind do let us know. Like us, many of our guests, have taken advantage of the new Ryanair routes to Bologna, including Edinburgh, Manchester and Bristol. The lucky ones have spend a night or 2 in this beautiful and vibrant city, amongst our favourites in Italy. We try to keep abreast of the various transport opportunities for getting to Casal dei Fichi so please let us know if you need any tips or suggestions. The good news is that the summer timetable is already live so book soon for the best rates. Changes to flight schedules meant that we had to reconfigure our November gourmet breaks last year to incorporate new venues and explore a bit more of Le Marche. 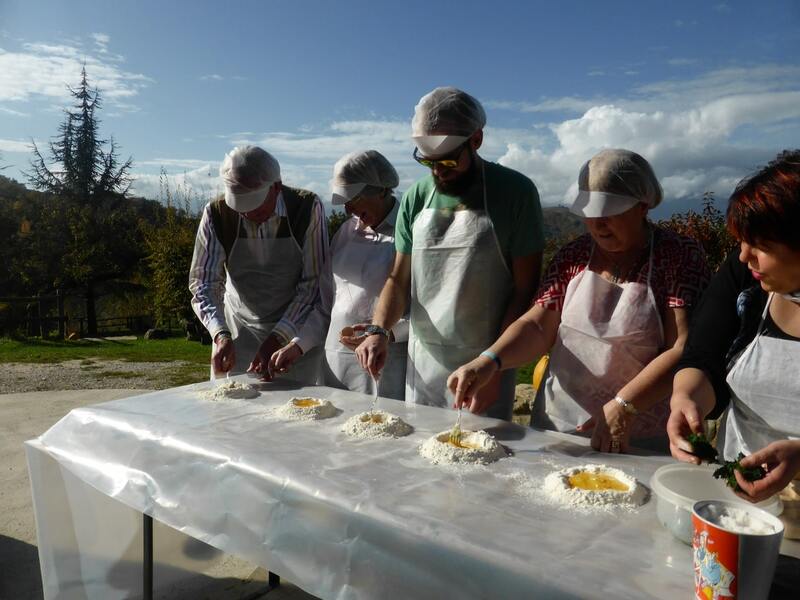 Although chaotic in a charming Italian way, the cookery course at La Conca enabled our guests to make fresh nettle pasta outdoors in the November sunshine with fantastic views of the Sibillini mountains. It can’t have been all bad as at least 2 of them are coming back next year so we’ve set the date and are taking bookings. Friday 6 to Monday 9 November 2015. And don’t forget that if you have a group of family or friends that you’d like to bring out for a special occasion we’re always happy to tailor the trip to your needs. We are both well and looking forward to another season and Balzo is now increasingy deaf as well as blind though otherwise he and Hattie are both in great health. 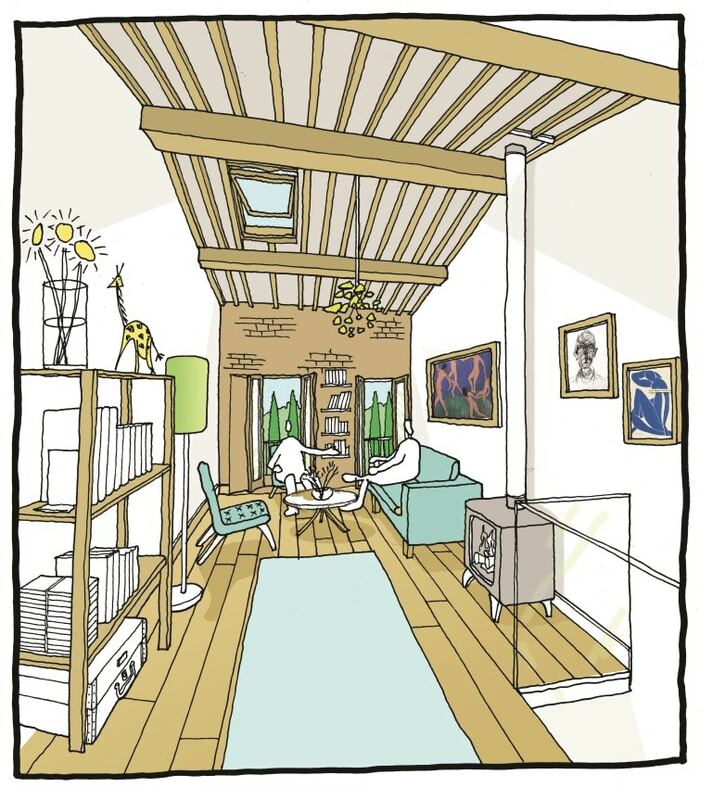 We wish you all health and happiness for 2015.